We’re really thrilled to share the news with you that Willie has been awarded Cook Shire’s Australia Day Citizen Award, and thought you would enjoy the story about how it all came about. Australia Day awards, and forwarded their request to Cook Shire Council, and so the 11th hour nomination scraped in, just in time. Willie was, for once in his life, rendered speechless when his Award was announced. Wiping away a tear, he confessed that he didn’t think he’d have a chance of winning anything, let alone the Citizen Award, and he’d nearly gone fishing that morning instead! 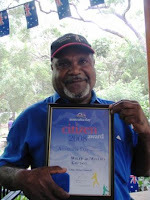 The Award recognizes his determination in promoting the region and its Aboriginal culture; his involvement in many community groups and activities including Cooktown’s Chamber of Commerce; his work with at-risk youth, and his great contribution to increasing the understanding between Aboriginal and non-Aboriginal people and communities. You’ll be pleased to learn we’ve been able to trace the couple who filled in the survey. They’re every bit as thrilled as we are— but say they still have their sights set on a Queen’s Birthday Honours for “Australia’s Willie Gordon.” Go Willie! 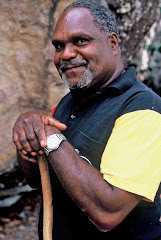 In October, Willie received national recognition for his small, personalised rock art tours, when he won the 2007 Gnunkai Indigenous Tour Guide Award. Established to encourage innovative, culturally accurate and inspiring tours, the judges acknowledged his passion and dedication for the industry, and his excellence in enriching the visitor experience through his interpretation of the natural and cultural environment in a responsible manner. We’re thrilled and we hope you like the great photo of Willie with his award. 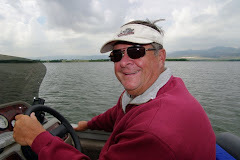 We had some great accolades from the media in 2007, and the eclectic coverage—from Backpacker Essentials to The Wall Street Journal—demonstrates the diverse market appeal of Willie’s rock art tours and his gifted story-telling. 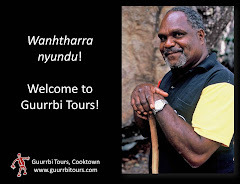 In April, Australian Traveller magazine named Guurrbi Tours as One of Australia’s Greatest Hidden Experiences. You can read what the judges wrote in See the Other Side of the Rainbow. 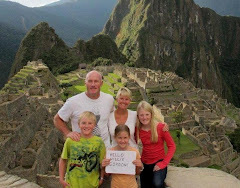 In August, the Sunday Telegraph featured Willie as one of Australia’s best tour guides in an article by Chris Pritchard. Then the Hong Kong issue of Business Traveller Asia Pacific named Willie as one of a small band of guides who “educate (and) enthral visitors with accounts of a city, a country, a culture told with such passion and love that we fall under the spell of their story telling.” A wonderful description of Willie—and it gave us a great kick to see Cairns and Cooktown mentioned alongside Beijing, Hong Kong and Manila! 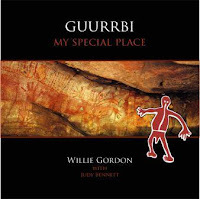 The book is full of photos and information, and although not a substitute for seeing the rock art with Willie, it does give you an insight into the meanings behind the art and some of the stories within the cave paintings. There's also information about bush tucker foods, medicines, crafts and more. The booklet costs A$12.95 + postage. E-mail us if you would like to purchase a copy. "The little book you wrote with such clarity and simplicity, greatly facilitated my understanding of your culture and your people. I was thrilled to find a copy and will bring it home with me to France where it will remain one of my most treasured mementos of our trip to Australia." Francette Couchman, Hengoat, Brittany, France.